Patience is the only daughter of the rightful Heptarch, but she, like her father before her, serves the usurper who has destroyed her family. For she has learned the true ruler's honor: that duty to one's race is more important than duty to one's self. But the time for prudence has passed, and that which has slept for ages has awakened. Patience must journey to the heartsoul of this planet to confront her destiny...and her world's. 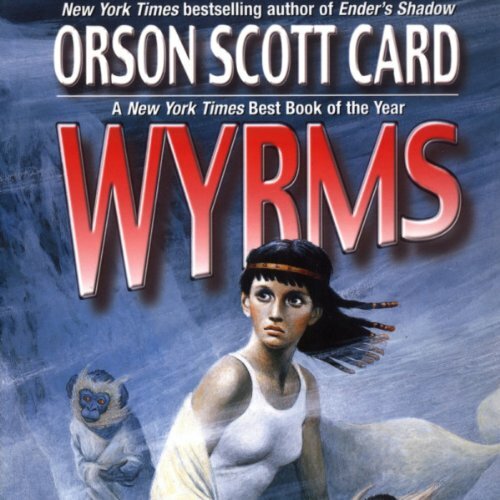 Wyrms is an Orson Scott Card classic, one of the novels that helped forge his young career. 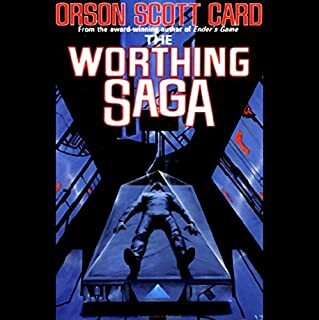 ©1987 Orson Scott Card (P)2007 Blackstone Audio, Inc.
Wyrms is among the best and among the most obscure science fiction. Overshadowed by the "softer" (yet still brilliant) Ender's Game, in my opinion Wyrms really shows what Card is capable of when it comes to SF. This book is a perfect balance of soft and hard, with both the social and scientific issues of a colonized planet explored in Card's usual lyrical, dark manner. As usual for OSC, the plot is tight and fast-paced, the writing is gorgeously spare, and the characters are unforgettable. From the royal court of Heptem to the caves of Cranning, you will never forget this book once you've read it - or listened to it, as the case may be. 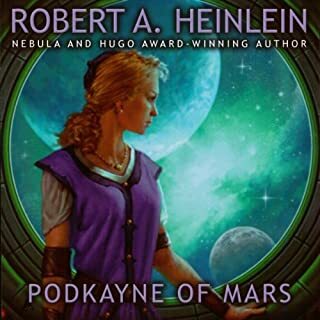 This book has had a permanent place on my shelf for many years, and I was thrilled to see that it's finally been released as an audio book. It will have a permanent place in my audio library as well, along with Card's other masterworks. With her performance of Wyrms, Emily Card firmly establishes herself as a true equal to the other brilliant narrators Card audio fans know and love: Stefan Rudnicki, Gabrielle DeCuir, and Scott Brick. Ms. Card's reading and character voices are spot on and a delight to listen to. 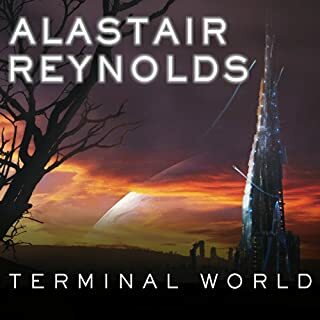 Even if you've never read or listened to an OSC book before, but are a fan of science fiction, do yourself a huge favor and spend the credit or the cash on this somewhat obscure title. You will not regret it. I have not read a lot of OSC, but after this book I will definitely be reading more. Fans of the Dune series will love the beginning for its political intrigues. Fans of Tolkien will love the middle for the mingling of different humanoid species. Fans of Pullman will love the ending for its religious implications. Without giving away too much, OSC has done an excellent job of imagining totally new theories of evolution, life, and racial memory. The characters are well-developed and continue to change throughout the novel in suprising ways. There is a good balance of "hard" SciFi and "soft" philosophy. Emily Card does an excellent job at narration. I was skeptical, knowing that family may have trumped talent, but not so -- Emily does as good a job as any narrator I have heard. Her voices are interesting and varied, with accents appropriate to the characters. This book would make an excellent movie (hint hint to Hollywood!). 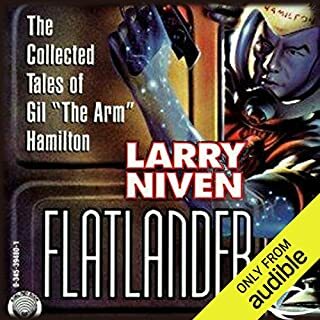 I rank this audiobook with the best of the best. What would have made Wyrms better? What character would you cut from Wyrms? Made me very cautious of reading anything else from him. The story was exciting and unique. The variety of races and their interaction was not predictable which of course made it more difficult to hit the stop button! Thanks Audible, I'm behind in so many things that should be done. I just finished Orson Scott Card's Wyrms and I don't know what to say. This book pulled my mind apart. I liked and hated it the same time. It was full of awesome ideas. I loved that. The heads in the jars preserved by alien lifeforms... awesome. The genetic basis of the story and the interaction of different species are compelling. Here is a book which is not about aliens attacking humans or humans attacking aliens. The alien life-form chose to mix with the human genes in order to survive, moreover, to produce a much more dominant new race. The memory-storing crystals in people's mind was also an excellent idea, especially because it could be passed to the next generation. This being said, I almost fell asleep when the characters gave philosophical speeches to each other. Maybe I'm a shallow guy who easily get bored over deep philosophical thoughts, but my finger was itching to push the fast forward button. At some points I even considered giving up. There are some very, I mean very disturbing events in the story. I already found odd how Patience dealt with his father's head. However the most awful thing was the mating between the heroine and the worm-like UnWyrm. Not only the act itself, but what happened right after that. I would have thrown the book on the ground if it wasn't on my smartphone. Some of the characters simply irritated me. If I were the author I would have killed the fat woman character early in the book. I still cannot decide if it was a brilliant or a very bad book. 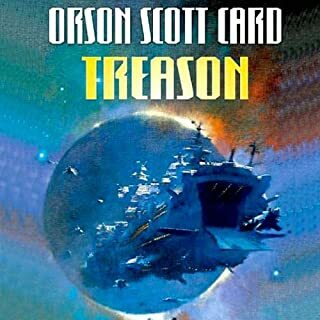 Not my favorite Orson Scott Card but still worth the listen. 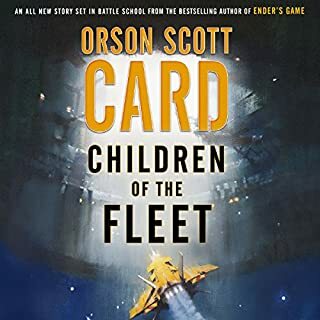 I've listened to almost everything Orson Scott Card has on Audible. I've never been disappointed. I have to admit I had just listened to Shannon Hale's The Goose Girl. A fun fantasy stories too I might add. After a couple of weeks I couldn't remember which plot was which. I disagree that this is an over used plot, however. Most stories are similar in plot. It's the fun twist of the plot an author creates that makes it interesting. Scott Card has a brilliance in turning a plot and spinning a yarn to a fun twisted way. And he did it again. I found it very entertaining. Frankly, I was disgusted when I realized where the story was going and I was not surprised by the ending. I don't feel that this should be counted among OSC's best works. An interesting well written story. If you clear your mind of the Ender series, which is usually what we associate with OSC, I think you'll like this one.